ST. GEORGE – No. 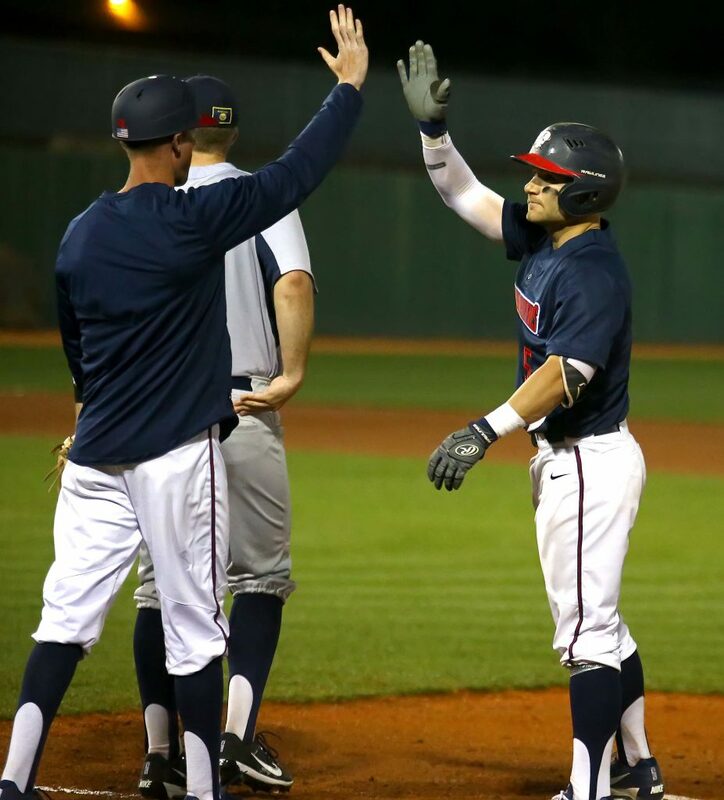 15/19 Dixie State opened the 2018 regular season with a thrilling 12-11 walk-off victory over Montana State Billings in a slugfest Thursday night at Bruce Hurst Field. The Trailblazers (1-0) knew they were in a battle from the get-go as MSUB (0-1) bolted out to a quick 4-0 first inning lead. 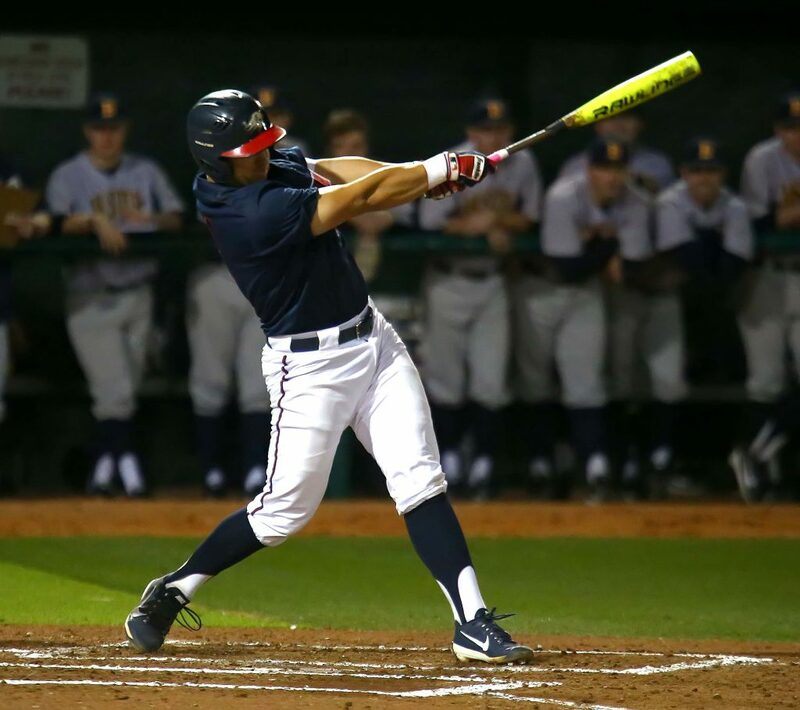 Yellowjacket lead-off hitter Kade Hall got the rally started with a towering home run to straight-away center field on the second pitch of the game. MSUB then touched up DSU starter Aaron Pope for three more runs on consecutive two-out hits en route to the early cushion. 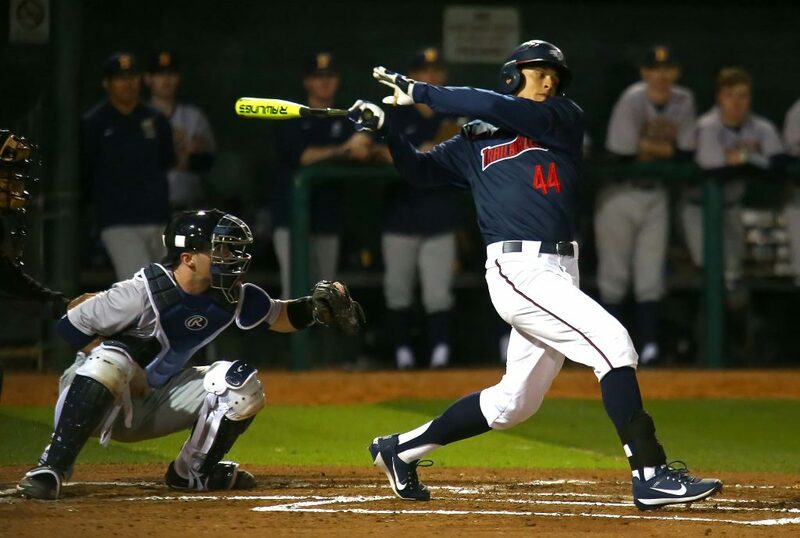 Dixie State would counter with four runs of its own in its first at-bats of the year to knot the game at 4-4. Jagun Leavitt and Kyle Hoffman drew lead-off walks to set the table for Logan Porter, and last year’s team RBI-leader picked up right where he left off as he drove in DSU’s first run with a double to right center. MSUB starter Jared Winslow balked home Hoffman, carrying DSU’s second run, and Jake Davison singled home Porter to draw the Trailblazers to within 4-3. DSU then tied the game one batter later when Gabe Taylor legged out an infield single, but the throw got by the MSUB first baseman to allow Davison to score from first. Montana State Billings came right back with three more runs in the second go back on top 7-4, but DSU answered with single runs in the second and third frames before erupting for four runs in the fourth to take its first lead of the game at 10-7. 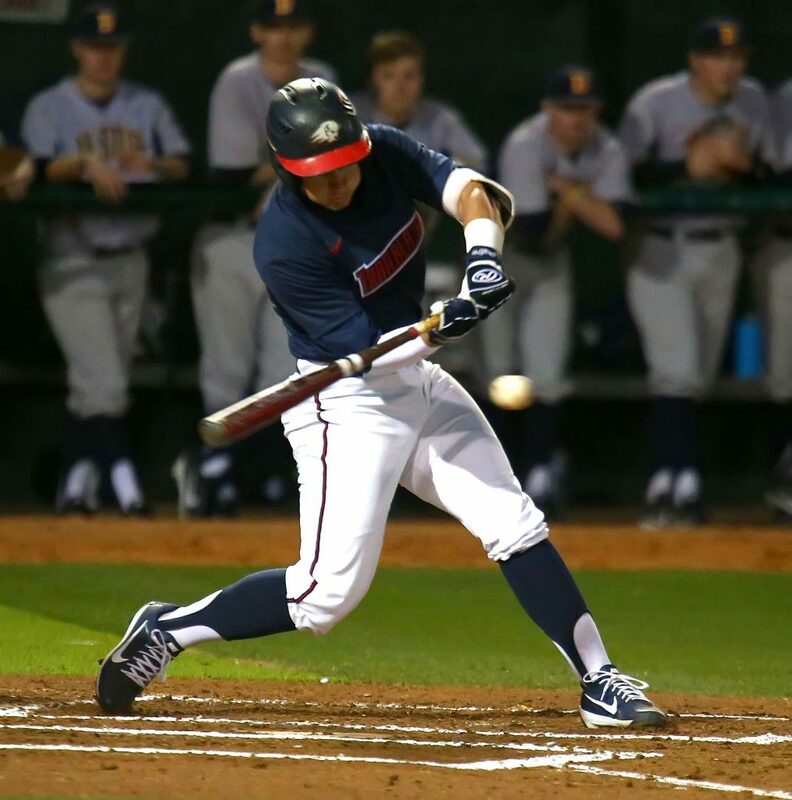 The Trailblazers scored three of those four runs without benefit of a hit, with the first run coming thanks to two walks and two hit batters to lead off the frame. 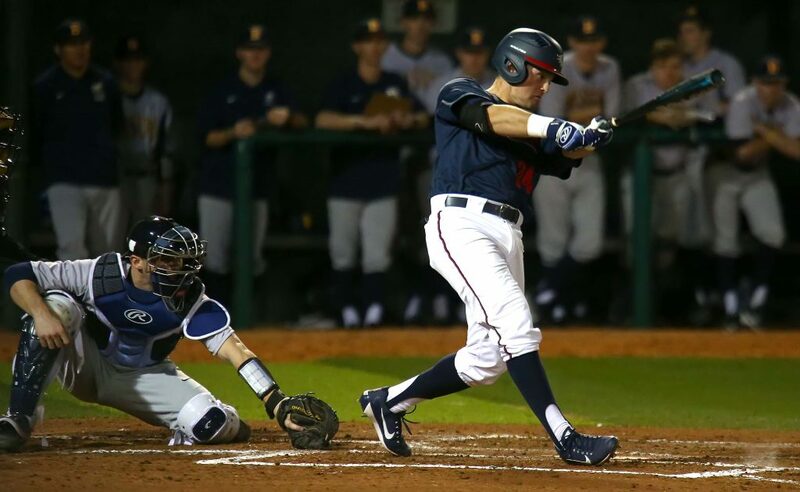 Davison plated the go-ahead run on a sacrifice fly to center and Taylor followed with a single to left field. Tyler Hollow then lined out to left to bring home DSU’s 10th run of the game and spot his side a three-run advantage. Trailing 11-9 in the ninth, MSUB loaded the bases with one out on two hit batters and a walk issued by DSU reliever Tyler Rosas (W, 1-0). 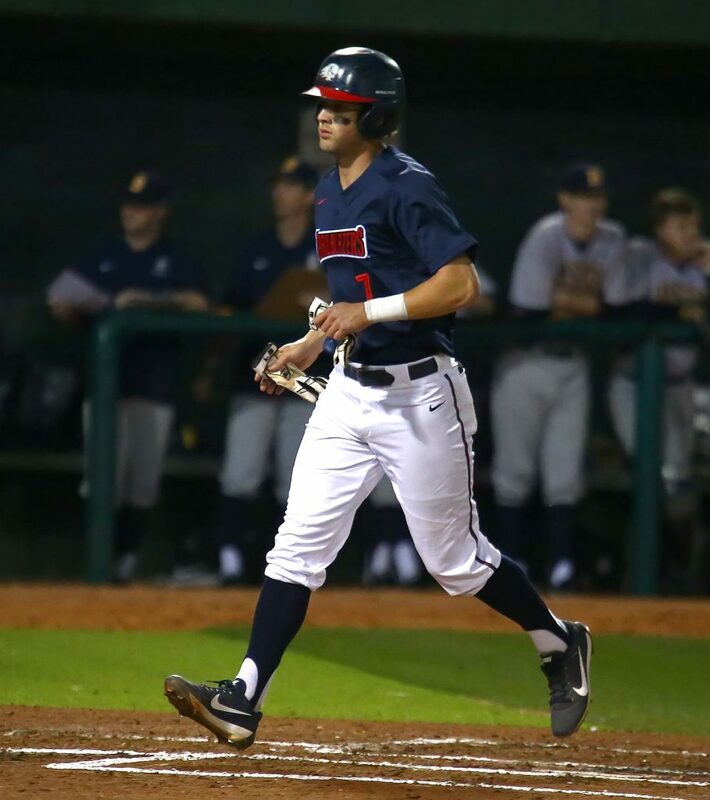 Pinch hitter Hayden Humphrey then tied the game with a two-run single, however Rosas managed to limit the damage as he induced a ground out and pop out on the infield to preserve the tie. In the DSU ninth, Leavitt drew a lead-off walk and would advance around to third thanks to a pair of Carson Woolery (L, 0-1) wild pitches. Hoffman then ended the game one pitch later as he drove a 2-2 Woolery offering through the left side to bring home Leavitt. 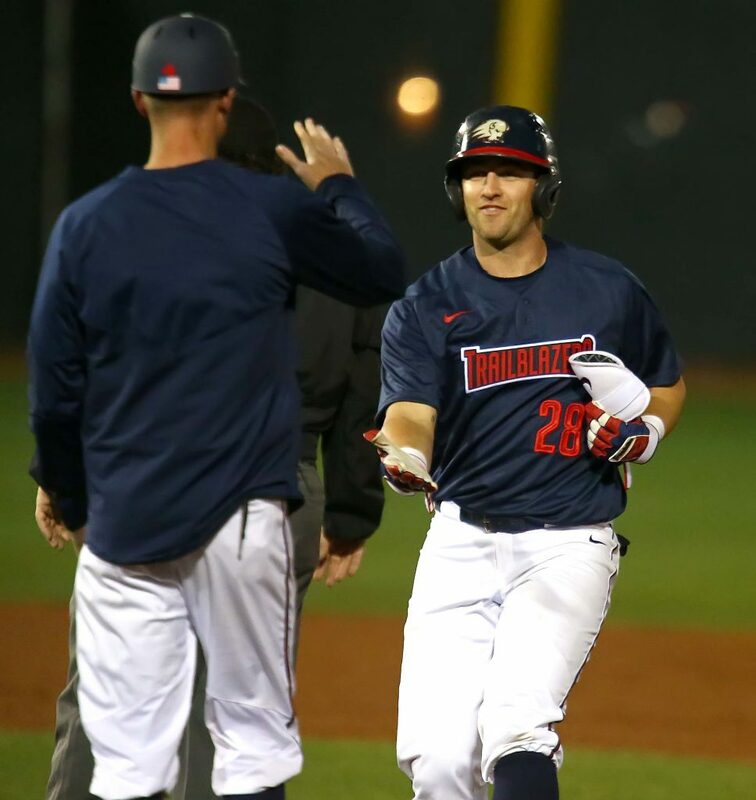 Dixie State racked up 10 hits, including a 3 for 4 effort for Taylor in his Trailblazer debut, while Jake Engel collected an RBI-double in the third as part of a 2 for 4 effort with two runs scored. The DSU bullpen limited MSUB to four runs and six hits over the final seven innings to pick up Pope, who surrendered seven runs and eight hits in two innings in his first start since the 2016 season. Hall finished a triple shy of the cycle as he went 3 for 6 with two RBI to lead MSUB, which tallied 14 safeties on the night. Dixie State will square off with the Yellowjackets again Friday at 3 p.m., followed by a match-up vs. Cal State San Bernardino at 6:30 p.m.
No. 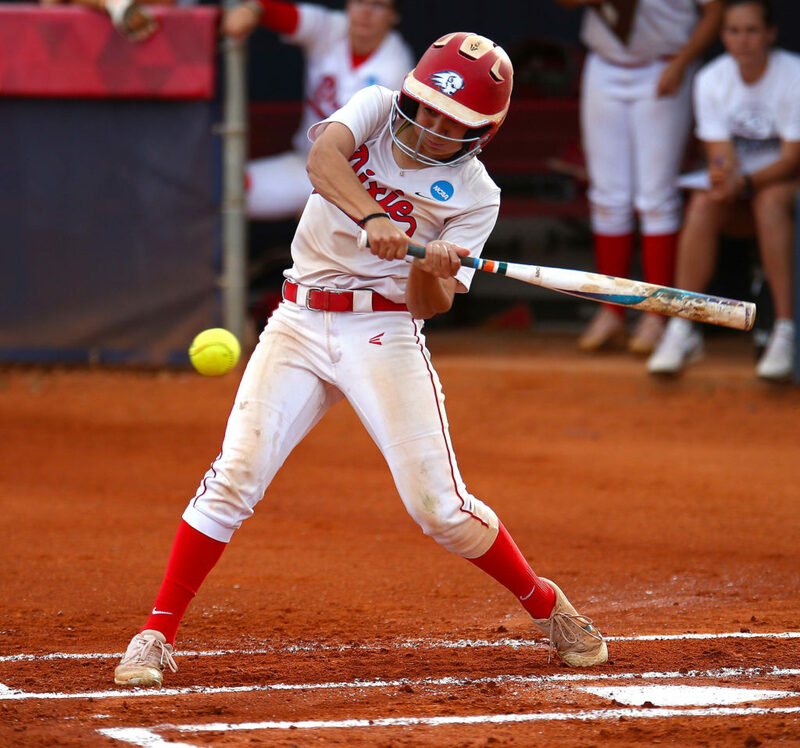 9 Dixie State softball rolled to two five-inning finishes on Thursday on the first day of the 2018 Easton Classic at the Canyon Softball Complex in St. George. The Trailblazers (4-0) defeated Metro State-Denver by a 13-5 count in the first game, before closing the day with a 16-0 triumph over Western Washington. 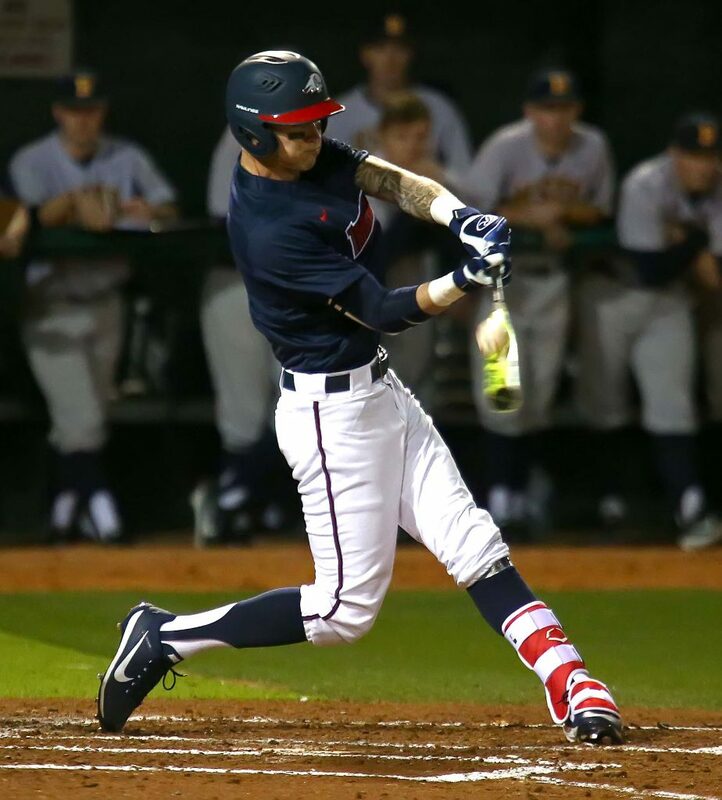 Dixie State hit .415 as a team on Thursday, combining for 29 runs and 25 RBI on 22 hits. Janessa Bassett, who was named to the NFCA/Schutt Sports Division II National Player of the Year watch list on Thursday, enjoyed a career-day at the plate in the sweep. Bassett went 4-of-7 with 6 RBI and crushed three home runs to double her career home run tally. Jessica Gonzalez also enjoyed a solid day at the plate and a hit home run in each game for a total of 4 RBI. Brenna Hinck made the most of her six plate appearance and recorded three hits, including a solo home run against Western Washington, and drew three walks. The Trailblazers also turned in a sound defensive performance, highlighted by Cambrie Hazel in the win over the Vikings. Hazel notched a career-best six strikeouts while holding WWU hitless in three innings of work for her second win of the season. Dixie State wasted no time building a lead vs. Metro State-Denver. 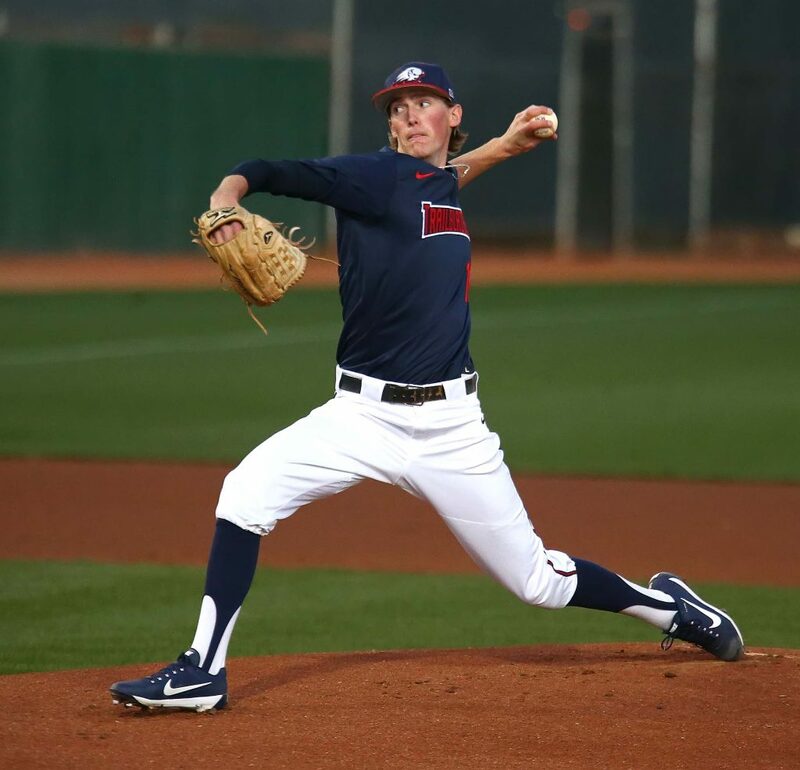 After retiring three of the first four MSUD batters, the Trailblazers jumped to a 1-0 advantage when Bassett belted the payoff pitch over the right-center field wall. Kori Gahn, Kenzie Sawyer, and Hinck also pitched in with RBI hits in the frame to push the lead to 4-0. In a carbon copy of the first inning, Bassett worked the leadoff at-bat of the second inning to a full count, then blasted the payoff pitch to the same spot beyond the right-center field fence for her second home run of game. The blast pushed the DSU lead to 5-0. 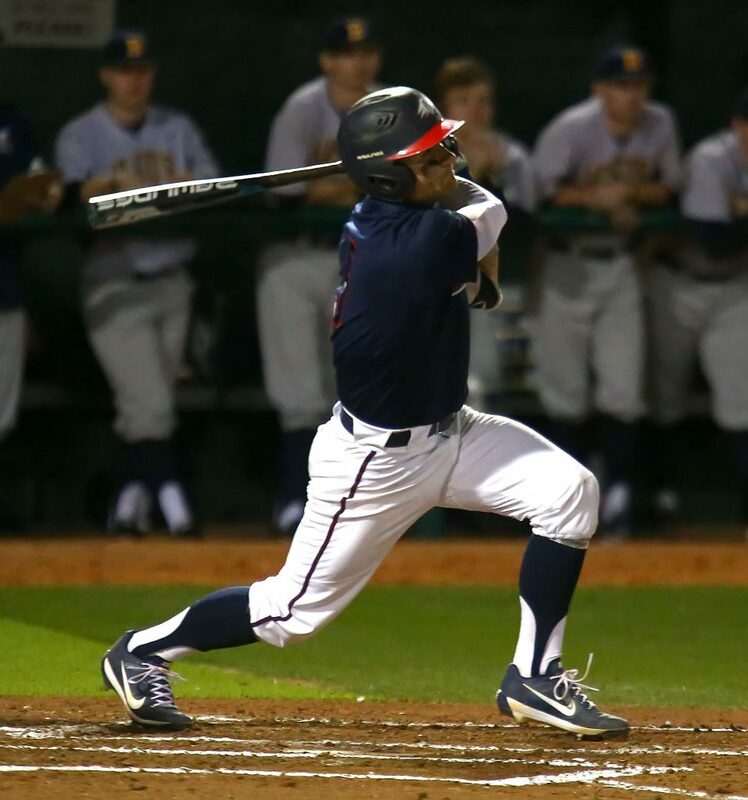 The Trailblazers tacked on four more runs in the third inning with three hits and a MSUD error. Gonzalez opened the frame with DSU’s third consecutive leadoff home run, digging the 1-2 pitch out of the dirt for a solo blast to left field. Kaitlyn Delange, Bassett, and Riley Tyteca added RBI hits in the inning to help push the lead to 9-0. 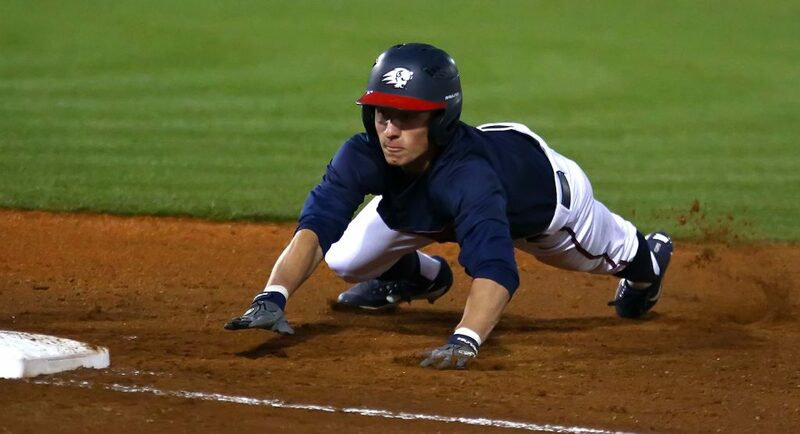 The Roadrunners answered with five runs on four hits in the top of the fifth inning to cut the lead to 9-5, and it seemed the game was destined for a full seven innings. But the Trailblazers had other plans. 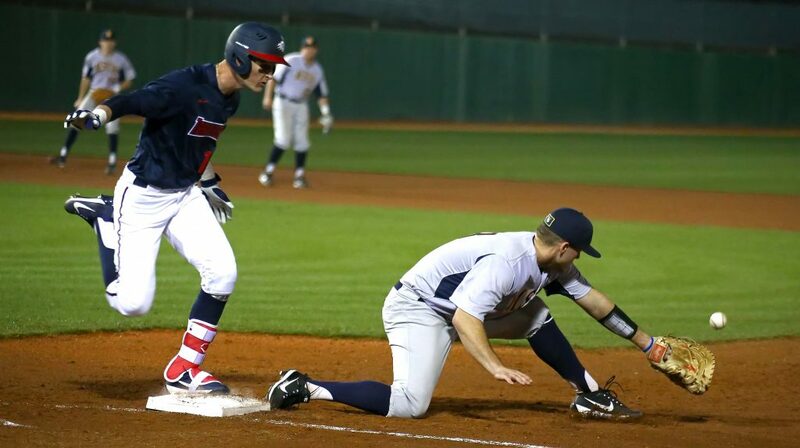 Dixie State countered with four runs in the bottom of the fifth to clinch the 13-5 victory. Delange started the scoring with an RBI-single up the middle, followed by a Bailey Gaffin 2-RBI double to left center field. 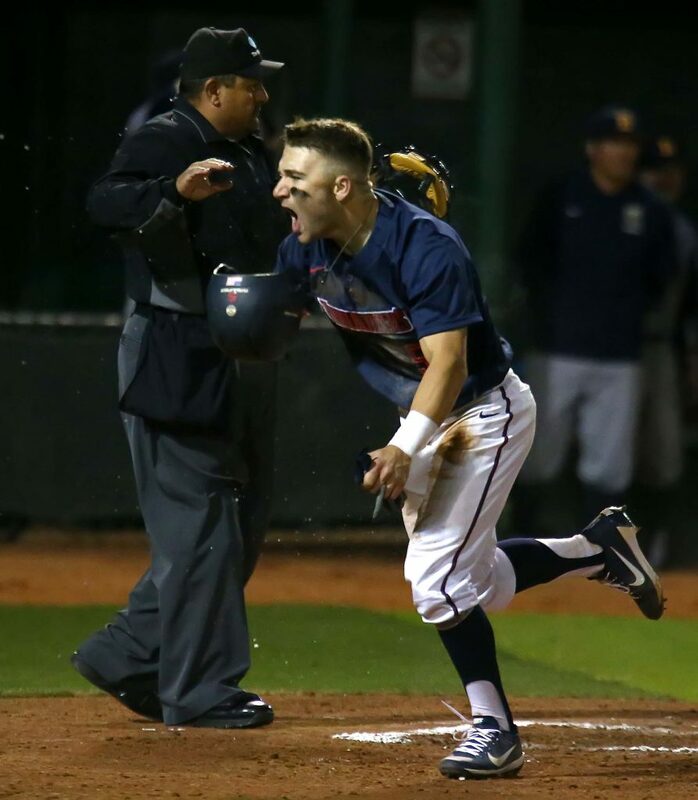 Gahn ended the game on the next at-bat with a walk-off single through the left side. Alexandria Melendez (2-0) earned the win in the pitcher’s circle, striking out six MSUD batters while allowing five hits in 4.2 innings pitched. 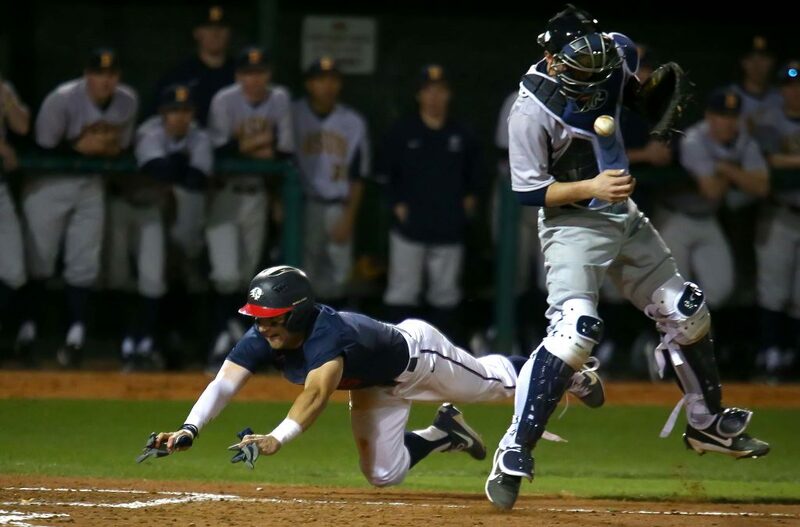 Both teams struggled to get base runners aboard through the first two innings against Western Washington. Both pitchers recorded four strikeouts through the first two frames and the game seemed destined to be a pitcher’s duel. Gonzalez broke the scoreless tie in the top of the third when she belted a towering two-run home run to left field on the first pitch of the at-bat to give DSU a 2-0 lead. Hinck opened the fourth inning with DSU’s sixth home run of the day to push the lead to 3-0. The Trailblazers would add 10 more runs in the inning as six different players recorded an RBI in the frame. 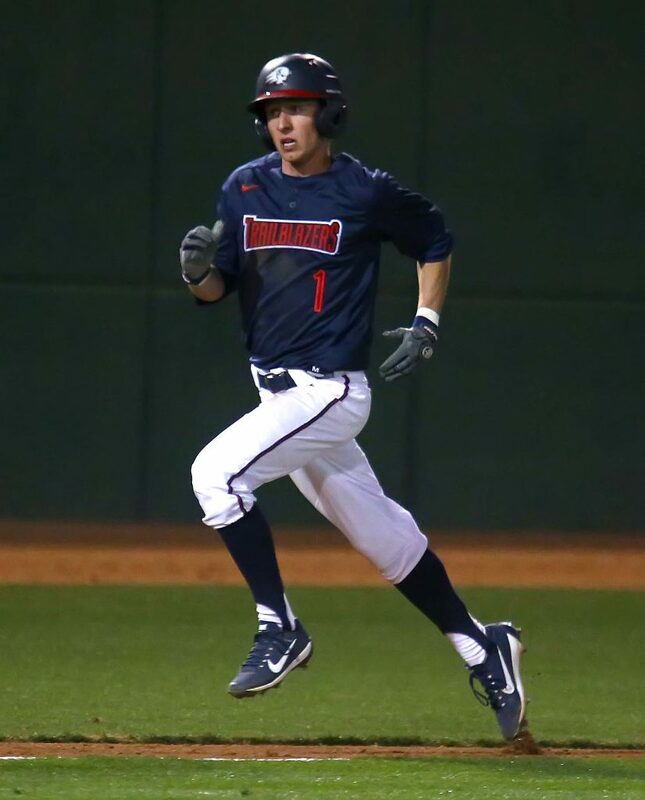 In all, Dixie State scored 11 runs on four hits and four WWU errors in the inning to jump to a 13-0 lead. The Trailblazers closed the scoring in the fifth inning with three more runs as Destiny Diaz belted an RBI-double for her first career hit. Sawyer and Taylor Godfrey also added an RBI each in the frame to push the score to the final tally of 16-0. Hazel (2-0) tossed three shutout innings with six strikeouts to earn the win in the pitcher’s circle, while Alexis Barkwell recorded two strikeouts in two innings of work to close the victory. The Trailblazers return to play at the 2018 Easton Classic on Friday vs. Colorado State-Pueblo at 3 p.m.